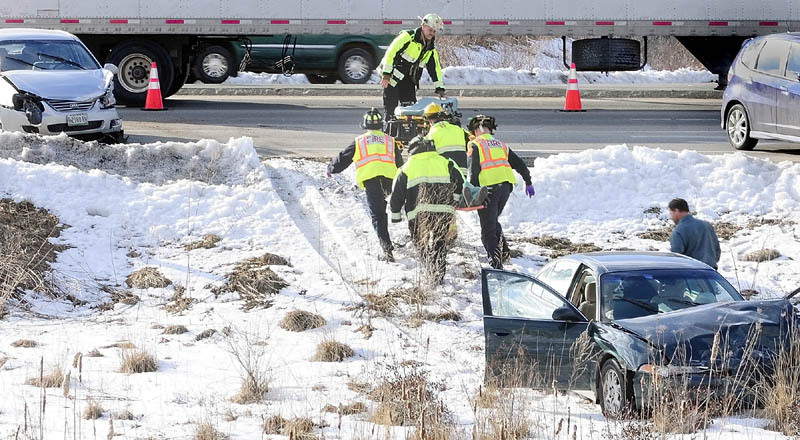 Augusta firefighters carry a person on backboard away from a car that slid off the road around toward a waiting stretcher around 5 p.m. on Friday, after a three-vehicle collision near Riverside Drive and Route 3 in Augusta. The accident took place in the northbound lane of Riverside Drive, just before the traffic light at Route 3. Additional details were unavailable early Friday evening.